As we know, so many poker players know the so-called X ray contact lenses. Most of them know where to buy x-ray contact lenses for poker marked cards, and also like to buy this product to help in poker playing cards game. You can know our special contact lenses in the following. 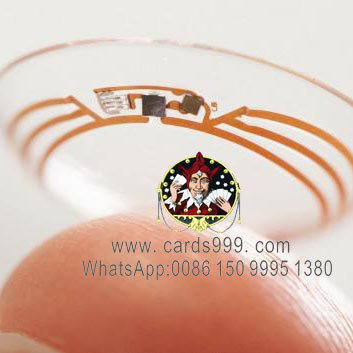 X ray contact lenses are different from luminous ink contact lenses, it works together with all marked playing cards. You just need to wear this magic marked cards contact lenses, you can see through playing cards invisible marks on the back marked cards clearly. At the same time, you can know the fonts and poker suit of each card. The latest infrared contact lenses are more secret and safe for poker players at Texas hold’em, Omaha, Blackjack and other games, the newest poker device cards system recently!